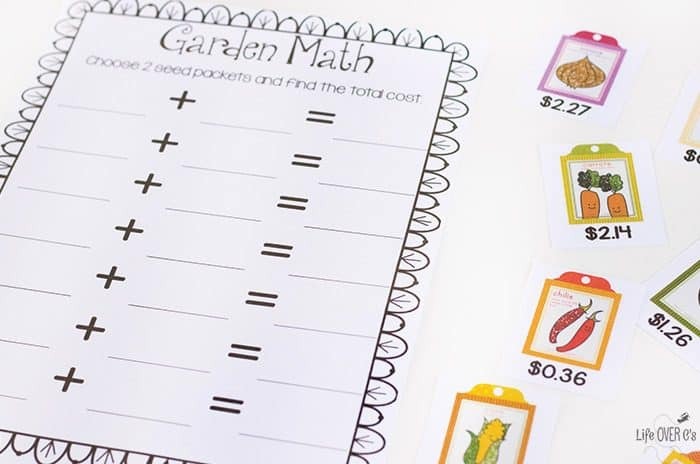 To prep: Print and laminate the garden math printable. We chose to laminate the black and white page as well so that we could use it multiple times. You could just use it as a student recording page instead. Cut apart the seed packet cards. 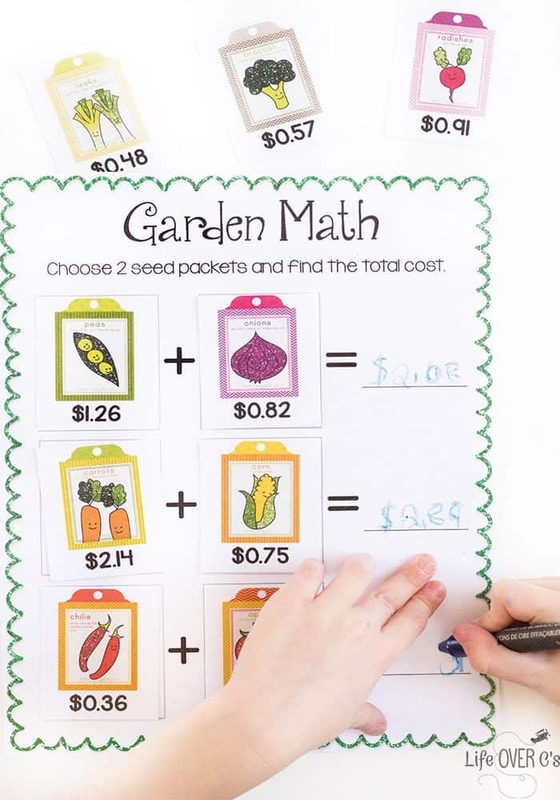 To use: Select two seed packets for each money addition problem. 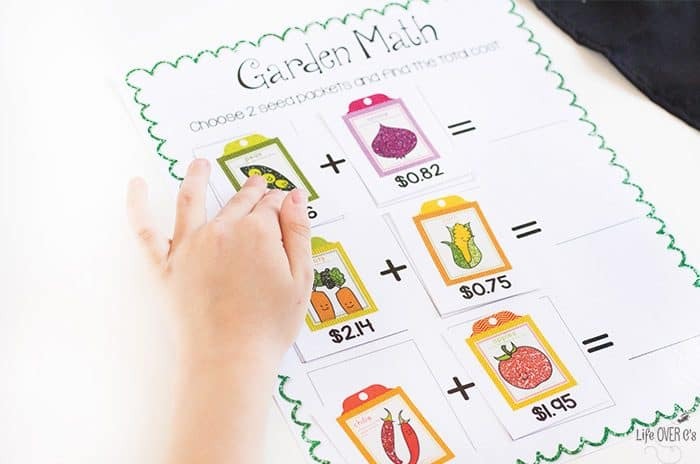 Have the student add together the prices of the seed packets to find the total price. Jaida enjoyed telling me punny jokes while she was working on her math. I love second grader jokes! She worked on these as mental math. No manipulatives and not re-writing the problems vertically in her notebook which are strategies that she has been using. She was very proud that she got all of them right! How many seed packets can you get for $2.00? 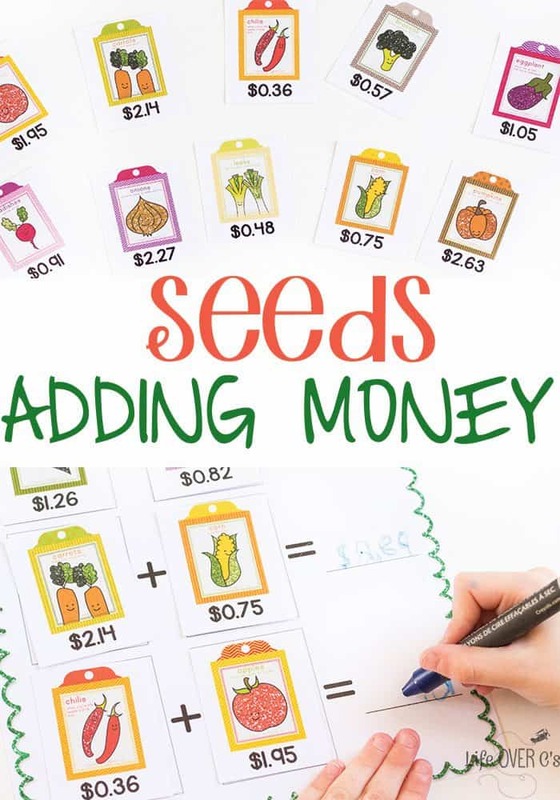 What is the most amount of seed packets you can get for $3.00? If I buy _____ and ______, how much change will I get if I pay with $5.00? 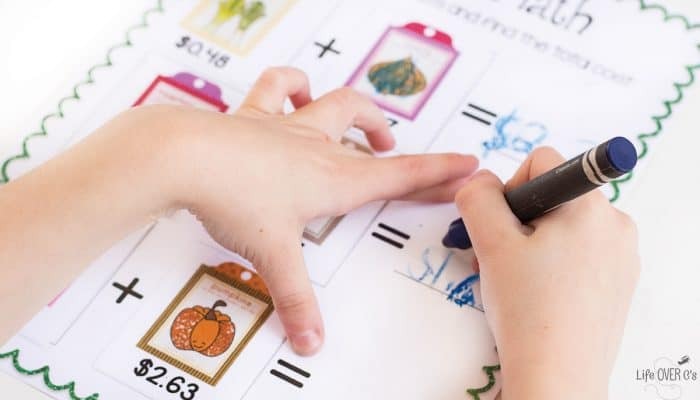 To extend the activity further, get some newspaper flyers from home improvement stores and have the kids plan their own garden with pretend money. Give them a budget of $10 or $25 and have them figure out what they can purchase for that amount. Do they need to purchase planters and soil or will they make an in-ground garden? Will they do a food garden or a flower garden? So many fun ways to work on adding money while learning about gardens!